Attendance at this event/program and successful completion of our lesson assessment activity will meet the NSW OFT requirements for up to 12 NSW CPD points, please see detailed description. 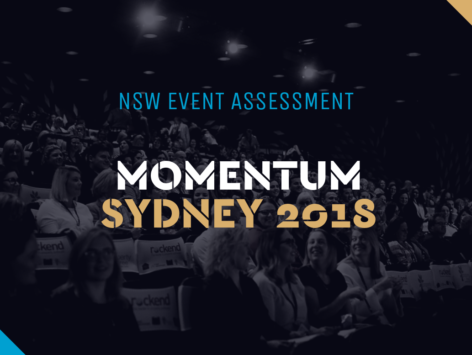 Congratulations on your attendance at Momentum Sydney 2018. We are sure you will have many ‘take-aways’ from it. 9 CPD points if you attended for the sessions facilitated by Tom Panos, Steve Carroll + the Agent Panel including Kate Strickland and Matt Lancashire. An additional 3 points if you attended the Useful Belief session (PM) facilitated by Chris Helder. Before starting the assessment please input your certificate details so that we can issue your certificate as promptly as possible. NOTE: It is the responsibility of the individual course participant to ensure they have met the requirements of the Office of Fair Trading for the renewal of their Licence or Certificate of Registration. These requirements are spelt out on the OFT website www.fairtrading.nsw.gov.au.